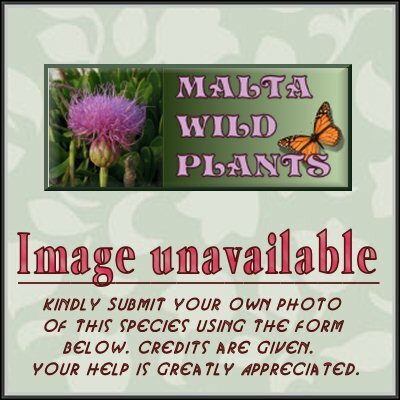 ﻿ Ranunculus arvensis (Corn Buttercup) : MaltaWildPlants.com - the online Flora of the Maltese Islands. More or less pubescent annual 15-60 cm. Lowest leaves simple, the others 3-lobed and often again divided into narrow, entire or dentate segments. Pedicel terete. Flowers 4-12 mm in diameter, pale greenish-yellow. Sepals patent. Receptacle pubescent. Achenes 6-8 mm, few (4-8), in 1 whorl, spiny or tuberculate, rarely only ribbed-reticulate, with a broad sulcate border; beak 3-4 mm, straight. S.,W. & C. Europe, extending to S.E. Sweden and E. Ukraine.